I love cookies. But better than cookies are free cookies! 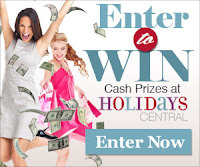 Enter to win some now! Soulfully Sweet was create to make gourmet baked goods that are healthier for you and taste incredibly good….soulfully good. They believe that food is one of life’s greatest pleasures, and everyone should be able to enjoy fantastic tasting baked goods. That’s why they only use natural and organic ingredients. There is no wheat, or soy and all our Soulfully Sweet products are gluten-free and Non-GMO. Oh I love cookies so much!! I'll snuggle up with my hunny and eat them on V-day if I win!! Yum!! Yummy yummy!! I want these! Oh my coodies as my boys used to say! COODIES! want cookies too. You can never have too many cookies. Thanks for the opportunity to win these delicious treats! Oatmeal Cherry Chocolate Chip cookies sound delicious. These Cookies sound AWESOME! I would love to try them. These look delicious! I would love to try their Peanut Butter cookies or their Oatmeal Raisin! YUM! Mmmmmmmmmmmmmmmm, these would be delicious with coffee. We love cookies.Their peanut butter ones look tasty! These Cookies sound absolutely amazing! I would love to try these cookies. Thanks for the chance to win. These look so good! Thanks for the giveaway!!! I absolutely love cookies and these look delicious! I would love to try these. They look really delicious. I love to try new cookies. Thanks for the chance. I am so glad they are gluten free! My sister has a problem with gluten sometimes so she can't always have the good stuff! Plus they look absolutely delicious! Nnatural and organic ingredients sounds good to me. They look delicious and I would love to win them. Thanks for the chance. I would love to try these! Thanks for the chance!! mmmm...delcious giveaway! I love oatmeal chocolate chip! I love cookies........ these look really good! Yummy, yummy! I would love to give these a try. I'm a bit of a cookie addict.